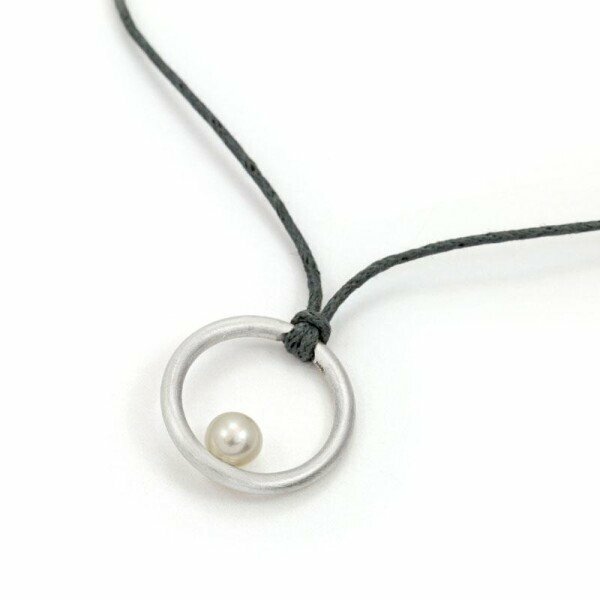 - Small fine pendant in silver with a small white genuine pearl . 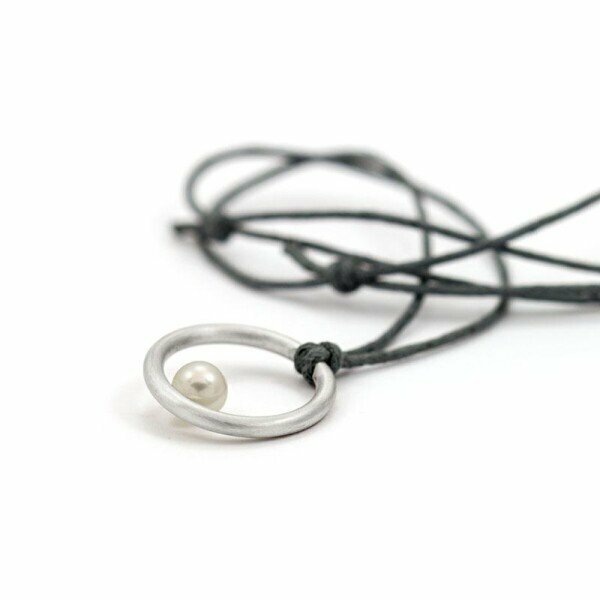 The pendant is knotted to a waxed cotton ribbon, this can easily be adjusted by means of sliding knots. A casual little jewel , the simple design with a noble effect . 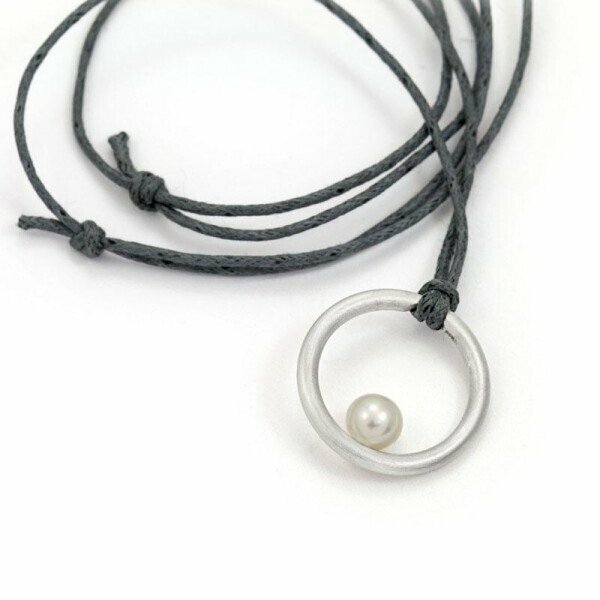 - The pendant is made of round wire with a diameter of approx. 2.2 mm, bent to a ring, which is approx. 20mm in size and is matt-finished. The real breeding bead is pinned up and has a diameter of approx. 5.5-6mm. - For the guidance of the ribbon, a notch is filleted on the inside so that it can not slip. The ribbon is about 1mm thick, the shortest length is about 42cm.